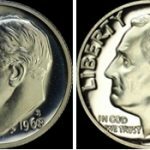 Join the Great American Coin Hunt! Thousands of dealers and coin collectors alike have committed to returning 1,000,000,000 collectible coins to circulation during ANA’s coin week, April 21-27. 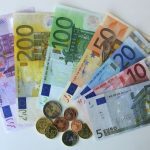 The idea is to bring the fun of hunting through your pocket change to find coins for your collection and at the same time maybe introduce this great hobby to a few folks who’ll find something interesting in their change. Up to date information be found on Facebook if you search for “Great American Coin Hunt.” If you are interested in getting involved you can “Like” the Great American Coin Hunt Facebook page and join the group as well. There is a map available that shows where folks plan on dumping their collectible coins in to circulation as well. If you are going to participate, and we hope you do, you are encouraged to mark your locations on the map. There have been some fantastic ideas shared already that are above and beyond just putting wheat cents, Indian heads, and buffalo nickels in to circulation. 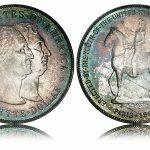 Some dealers are marking specific coins with stickers and if found, the finder can exchange that coin at the dealer’s shop of a key date coin, some of which are going to be upwards in value of $100. 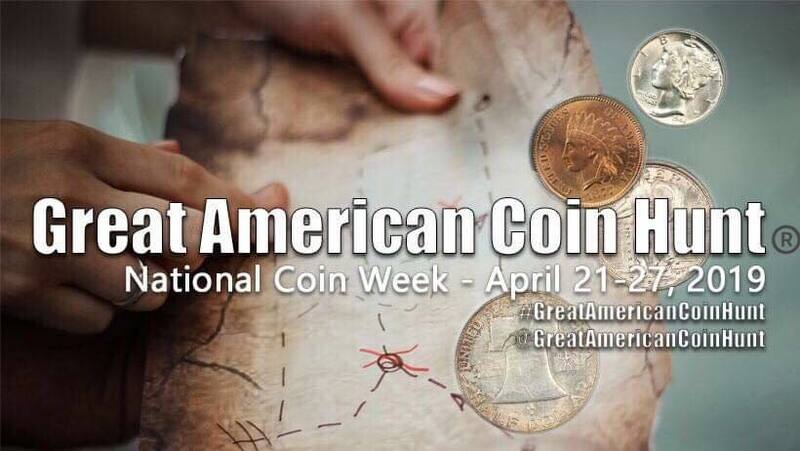 Other ideas that have been shared is to high inexpensive graded coins around communities with notes telling the finder to post a selfie on Facebook with the coin along with the hashtag #GreatAmericanCoinHunt. Yet another idea being floated is that since it is during April to fill Easter eggs with collectible coins and hid them around town and \ of give them to kids. Just recently Coin World has picked up the story and is now helping to make folks aware of the effort. Of course local success of this effort will be dependent on us, the dealers and collectors. Come join the fun. Let’s bring the hunt back! No special notes for the May Muncie Coin and Stamp Club meeting. It will be held at our normal locatoin, Minnetrista Cultural Center in Muncie. Is my “no S” Roosevelt dime worth thousands of dollars?